Since SEOPress 1.5, you can view your Google Analytics Stats in your WordPress Dashboard. To do that, we connect to Google Analytics API and make calls to get datas with a Client ID and a Secret ID. To generate your credentials, you have to login to Google Console. Note that you must first create a Google Console project before you can follow this tutorial. More info on the official documentation. 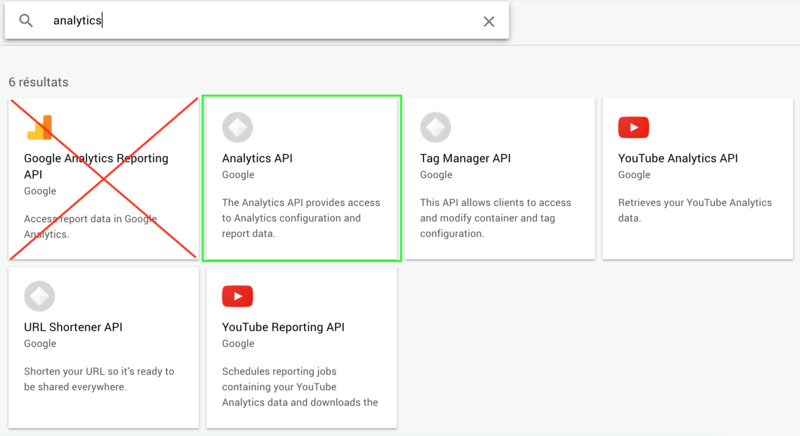 In API Manager, choose Library, search for Analytics API (be sure to activate the right API) and activate it. In Credentials, click Create credentials blue button, and choose OAuth client ID. 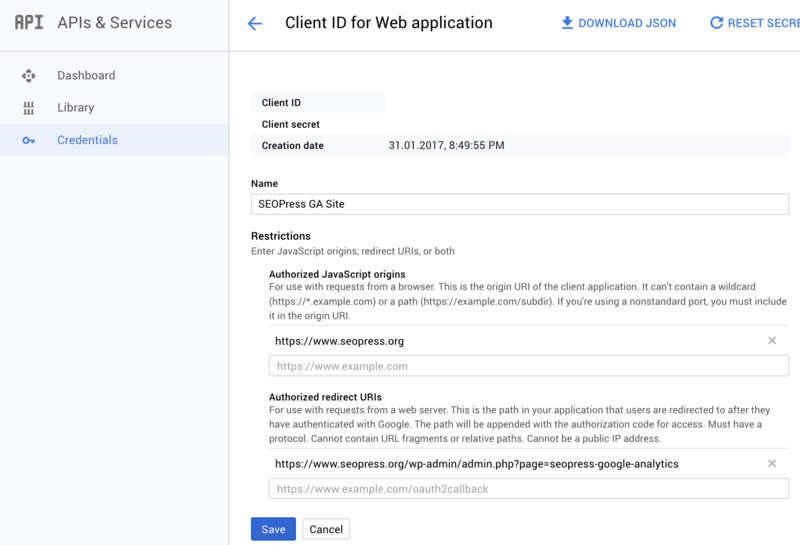 Then copy and paste Client ID and Secret ID from the popup to your WordPress admin, SEOPress, Google Analytics, Stats in Dashboard Google Console Client ID/Google Console Secret ID. Make sure to select these codes without spaces at the beginning and end to avoid an error. 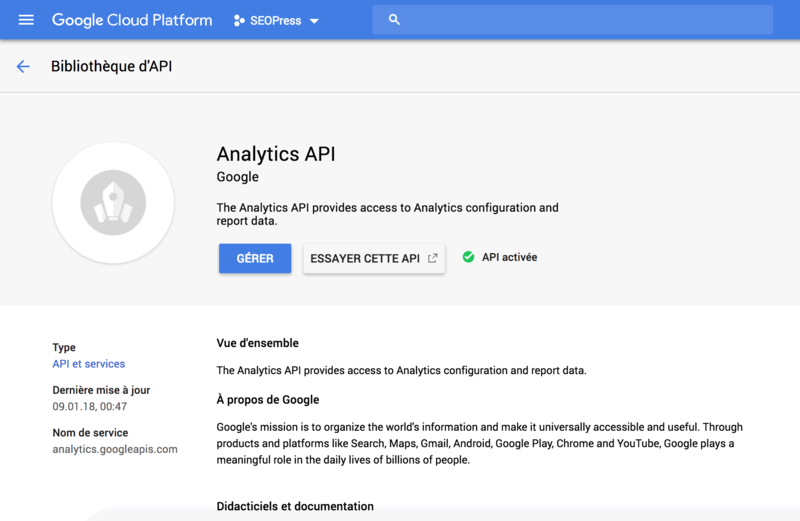 Now you can click Connect with Google Analytics, grant access and voilà!